All aboard! 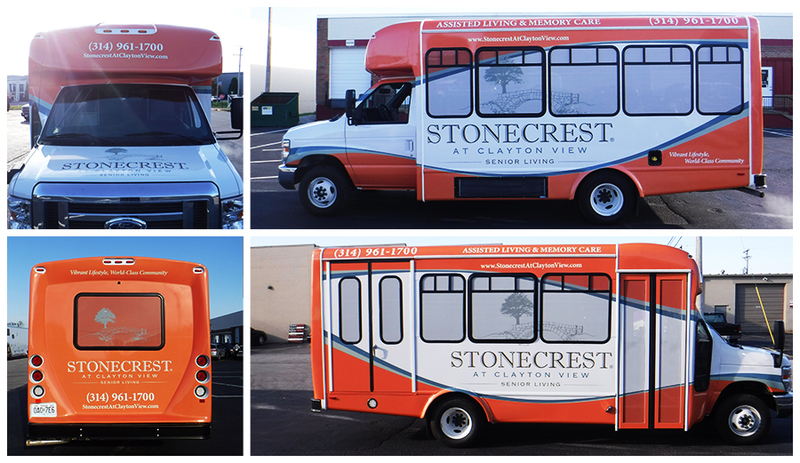 Step on up and get a look at this new bus wrap for Stonecrest at Clayton View. This wonderful art was provided by North Point. This is the second of three buses for Stonecrest and each time they turn out more amazing than the first. Stonecest is a industry leader in Assisted Living and Memory Care. Thanks Stonecrest!